There will be no further horn-blowing, and there will definitely be no hard-sell pitch that usually accompanies a hypnosis product launch. According to Dave Elman’s son, “Dad has become a cult figure, a fate he would not aspire to.” I respect that. 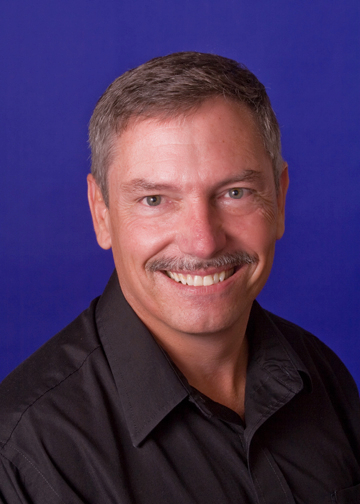 Dave Elman dedicated his life to teaching medical doctors and dentists how to heal their patients. It is easy to understand how Dave Elman could become a cult figure. His induction reliably produces deep trance in over 85% of subjects when used in its most basic “script” form by a novice hypnotist. 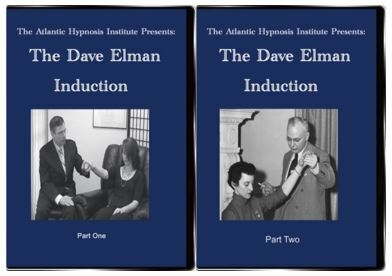 Most professional hypnotists who do not use the Dave Elman induction will admit (if they are totally honest) that they are nowhere near as successful. 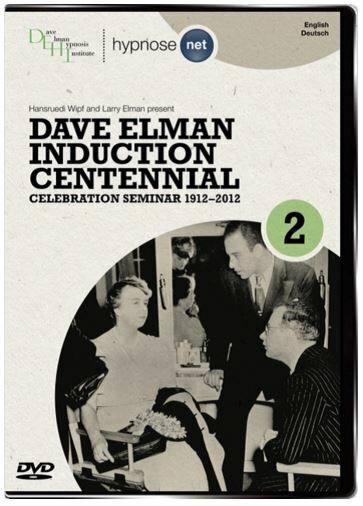 When the parts of the Dave Elman induction are understood (as explained in the DVD) the induction becomes even more powerful so that you can hypnotize virtually anyone. Who was Dave Elman? When people talk about great hypnotists of the 20th century, two names come to mind. Milton Erickson… and Dave Elman. This is surprising because Erickson published dozens of books and papers on hypnosis and was actively promoted by his followers who wrote dozens of books about Erickson, but Elman published only one book, “Findings in Hypnosis” (later published as “Hypnotherapy”). Why is Dave Elman held in such high esteem? His induction is that good! Erickson’s inductions could take a very long time, but Elman would place a subject into deep trance inless than a minute! Elman published only one book, but that ONE book had such an impact that many consider Elman to be the greatest hypnotist of all time. 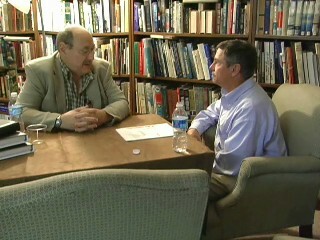 There is very little information out there about Dave Elman, but this new DVD is going to change all that! Progressive Muscle Relaxation – In this type of induction, the hypnotist suggests to the subject that the subject’s muscles are relaxing from the top of the head down to the toes or sometimes from the toes to the head. The purpose is to relax the person into trance. This induction takes a long time and is not effective with many people, particularly nervous or analytical people. Shock Inductions – These inductions are performed by shocking the nervous system of the subject and then commanding the subject, “Sleep!” Although effective, these inductions are not appropriate in all circumstances. Confusion Inductions – Similar to the shock induction, this is a very rapid way to hypnotize, but it uses confusion instead of shock. This induction takes a lot of practice and confidence. Fixation inductions – A good example of this induction is the stereotypical “Hypnotist with a Pocket Watch”. This induction is slow. The Dave Elman induction does not fit into any of these categories. It is more effective than any of them AND it takes less than four minutes to accomplish! With practice, you can use it to hypnotize a person even quicker! So, what makes this product different from other hypnosis products? This 2-DVD set explains in-depth how to use the most effective hypnosis induction ever developed. It takes you through, step-by-step from the moment you meet the subject, all the way through deepening the trance and emerging the subject. The level of detail will ensure that you can perform this induction. 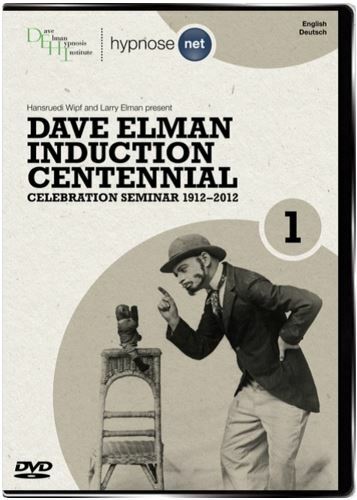 This set includes never before published information about Dave Elman and his induction. Elman’s sole surviving son tells how the induction was developed, how it was taught and why it is still the most effective induction ever.